Have the peace of mind knowing that no matter where you go, you’ll always be able to access the tools for the job all in one program. 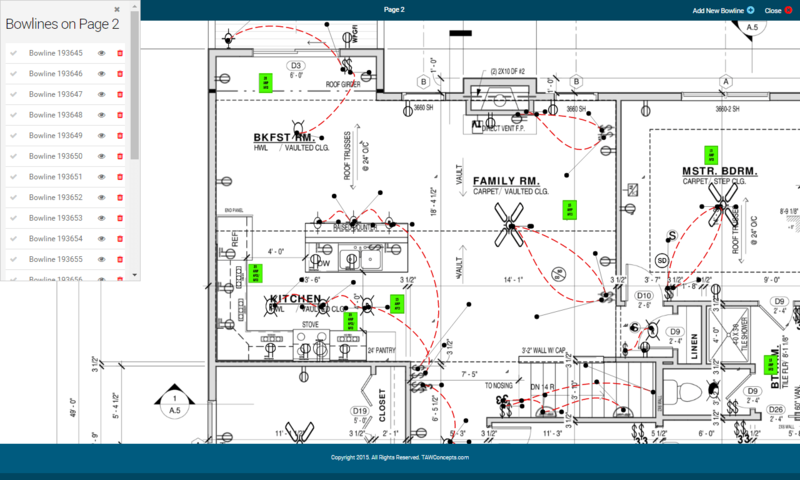 REMS is the first time design, pricing, estimates, and reporting features have been combined into one, easy-to-use electrical systems design software. 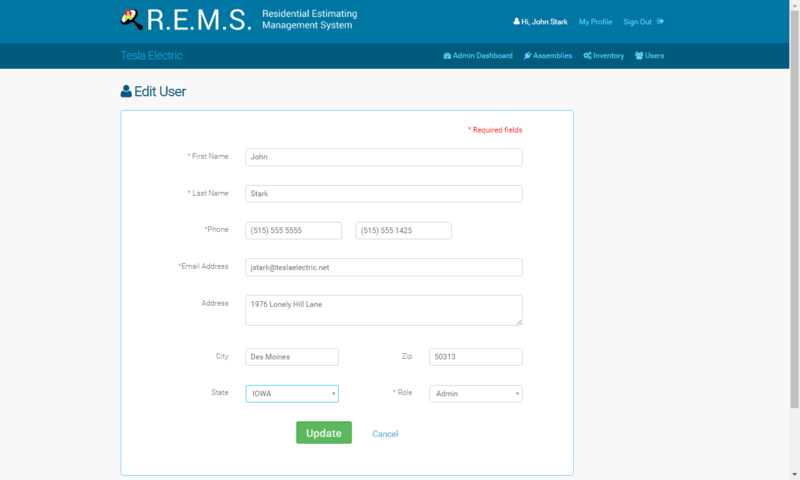 REMS allows you add multiple users in your company to with different access levels. 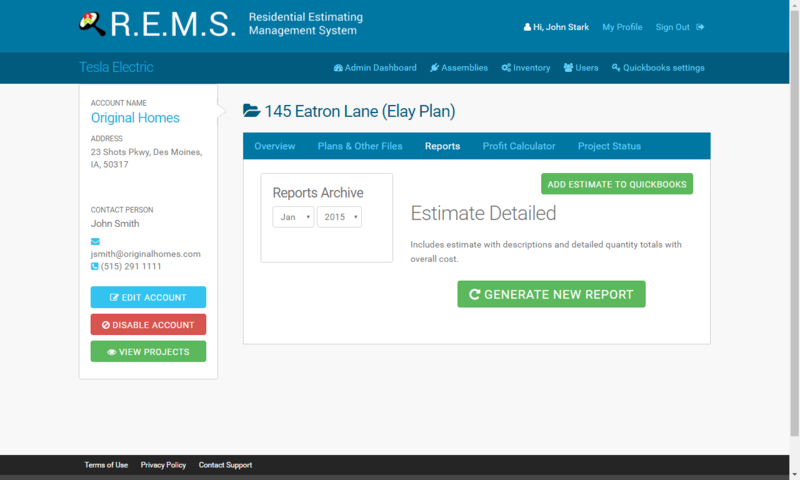 Admins, estimators, and field managers can communicate through REMS keeping plans up to date keeping you’re your information accurate so that materials and billing will be more accurate than ever! REMS is designed to keep your information at your fingertips at any point. Storing builder information and plans under each builder account. 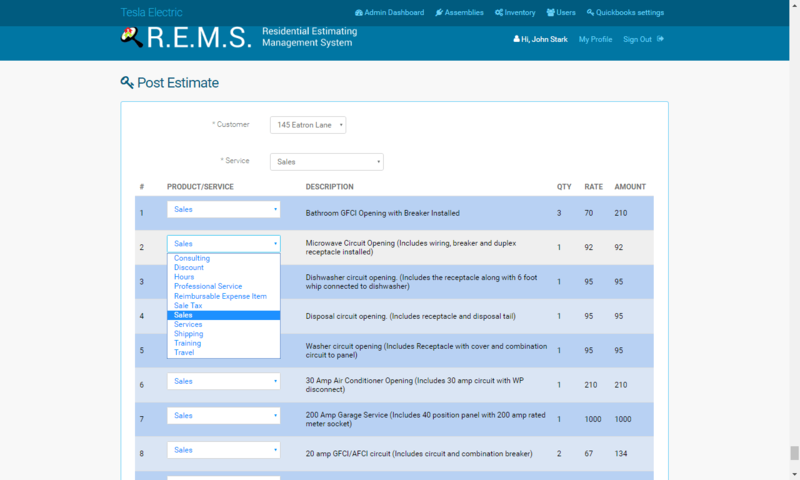 REMS stores global markups for builders and customers as well as the ability to individual settings for each plan. 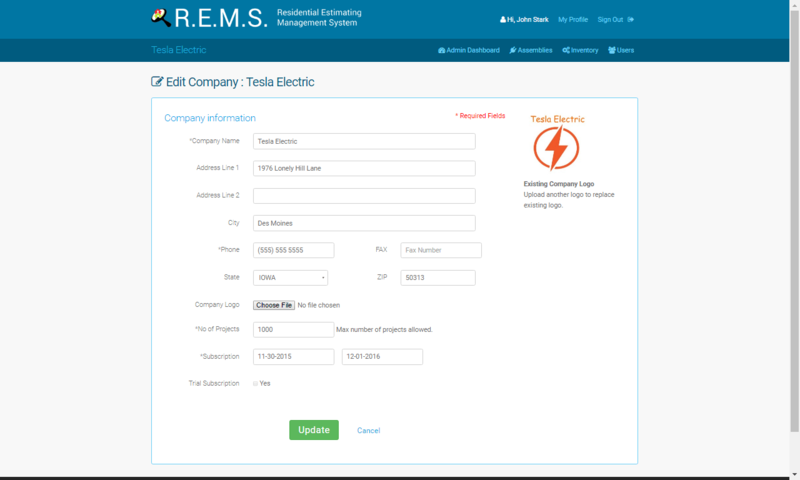 REMS allows you to keep your Company Information up to date. Keep your information and Logo current so your reports and plans reflect accurate information. 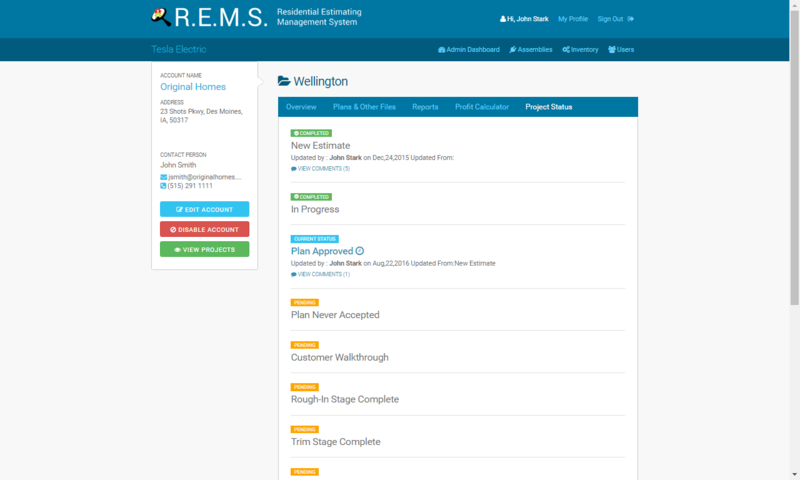 REMS allows you reflect status changes throughout a project using the web version or the tablet. This information is key to identifying what state a project is in. Real-time information with real-time accuracy! REMS allows you to store other pdf documents for use on the web version and is accessible on the tablet version. 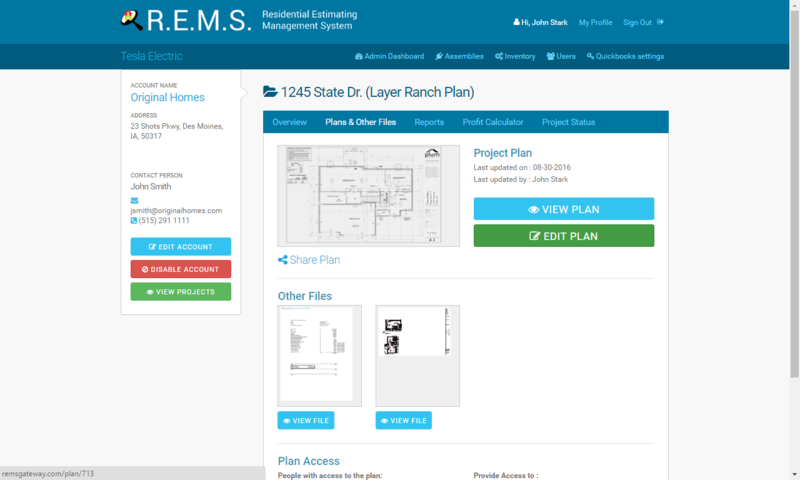 This allows you to store information such as contracts, Cabinet Layouts, and addendums. This information is key to projects being completed accurately and quickly. 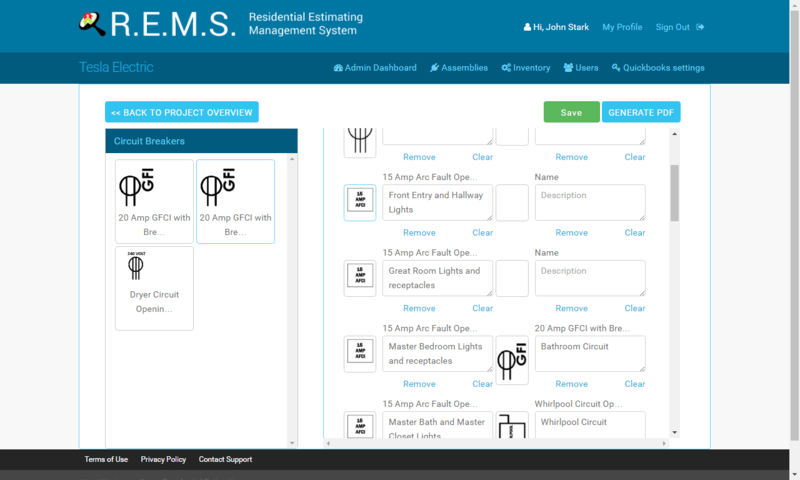 REMS brings all your vital information about a project to you at all times. 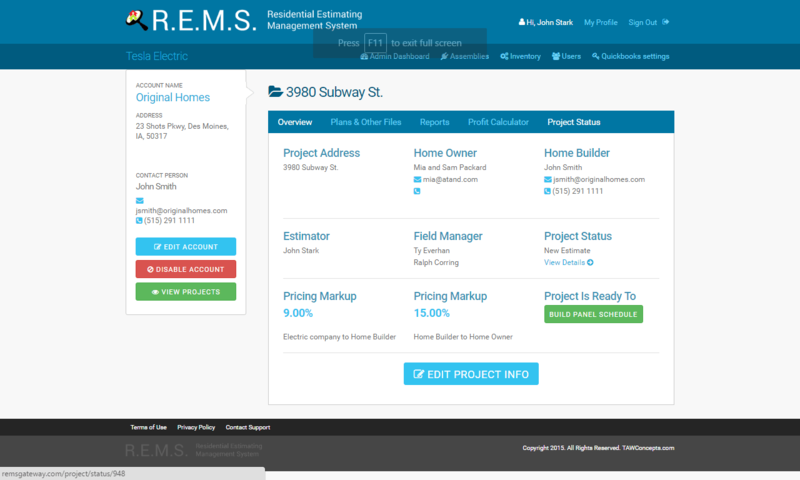 REMS is built to allow your designs to create perfect estimates, invoicing with spot-on material orders. It also provides features to produce professional designs. Its bow line feature proves that REMS is cutting edge to provide your customers with prints that look like an engineer put them together. In cities that require your plans be submitted, you’re a step ahead of all your competition. REMS builds a legend with only the items that you have placed on your plan. 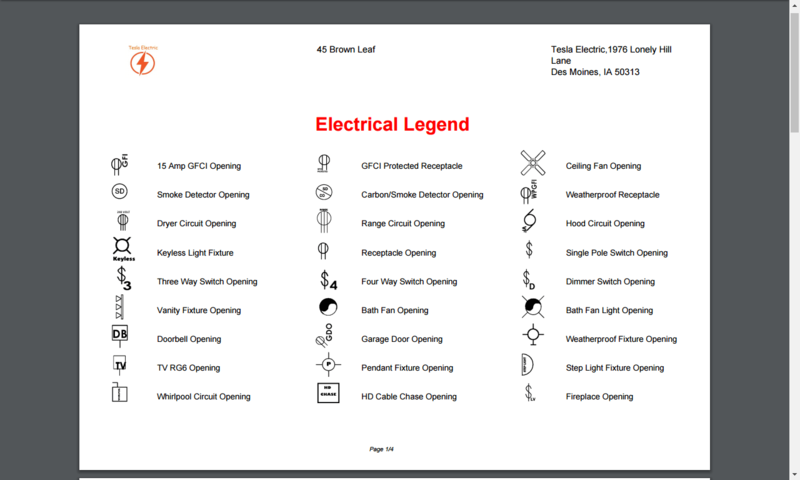 This legend is placed on the plan to give the customers a clear understanding of what each item means. No more confusion for customers when reading and relating to designs. 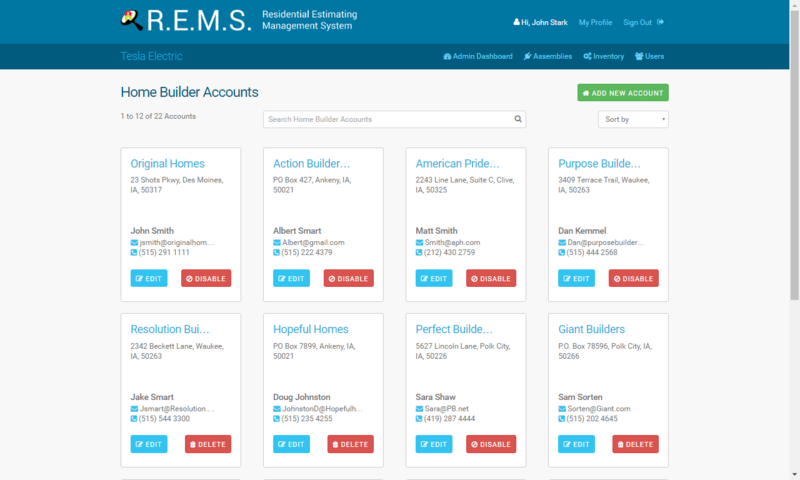 REMS is built with your customers as number one priority! 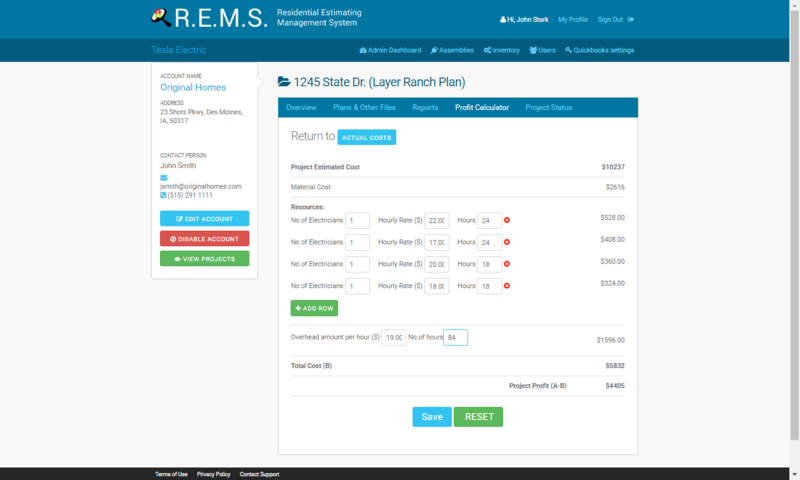 Once REMS has completed design Profit Calculator allows you to view what costs you have in your project. This allows you to view material costs, labor rates, overhead, and profit. Give yourself peace of mind before sending a project out for an estimate. 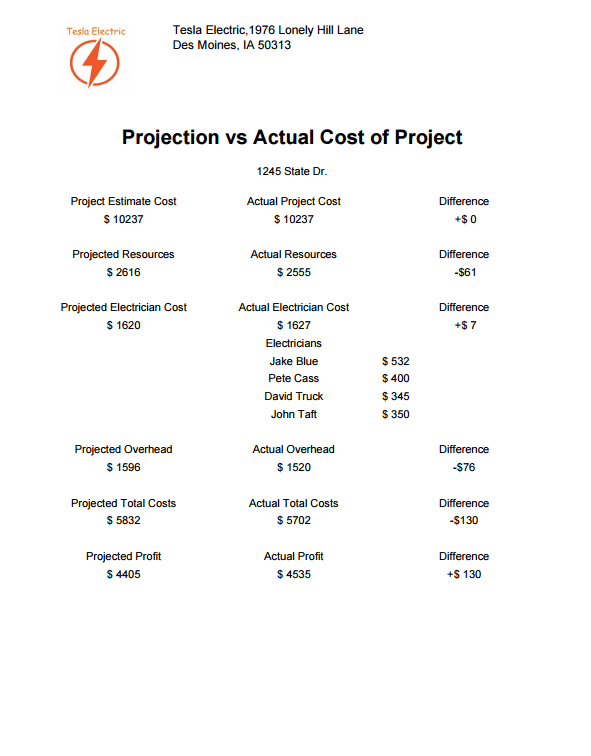 Profit Calculator allows you to enter the actual costs after a project is completed and will show you a comparison report on projection and actual costs for future projects. REMS gives you the total package for estimating success! 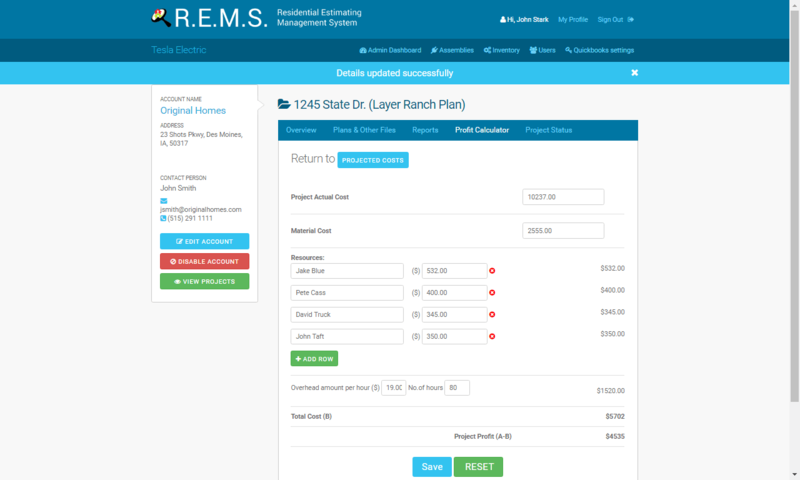 REMS helps you design the perfect layout, estimate, and invoice for your customers but it also can create a panel schedule. Since all your circuits were placed on the layout REMS places them into a bin where you can pull them over to the panel size that you designed on the plan. No more non-legible panel stickers. 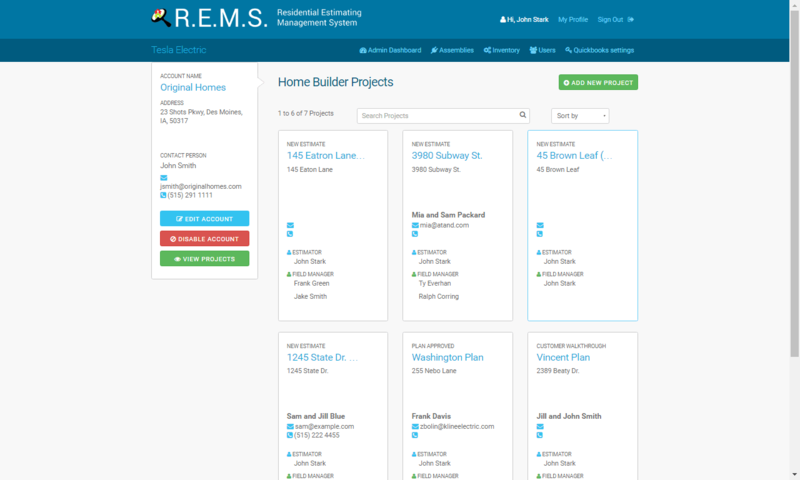 REMS builds a schedule that you can edit to match the areas the circuits have been placed. 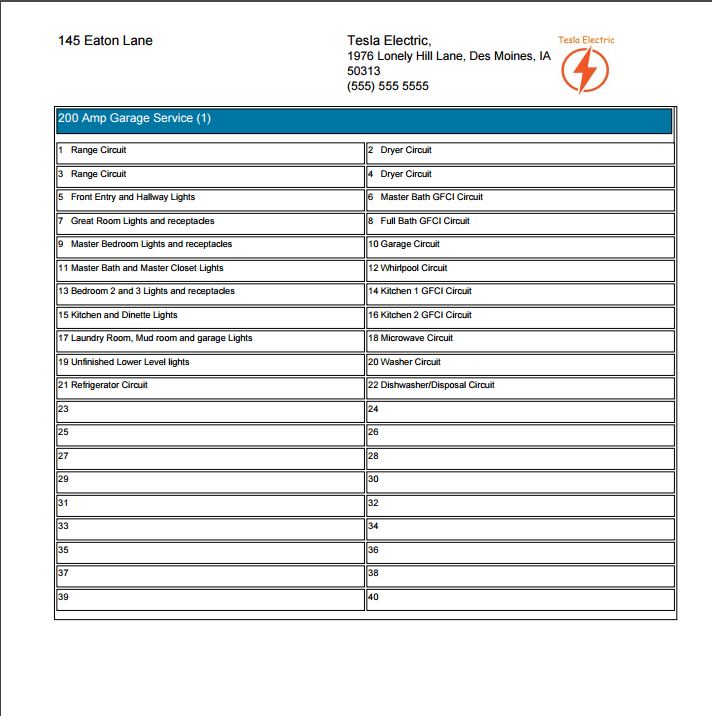 Along with the schedule, your company logo and information are included on the form. Professional look with minimal work! REMS gives you the edge you are looking for. 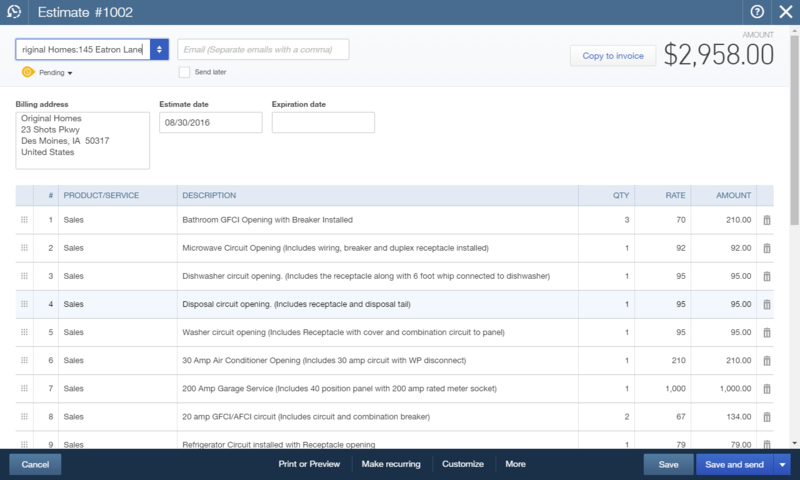 REMS now allows you to interface with Quickbooks Online! Your estimates and invoices can seamlessly be added to your Quickbooks Online account to keep your records up to date. This feature adds dramatic time savings and convenience. 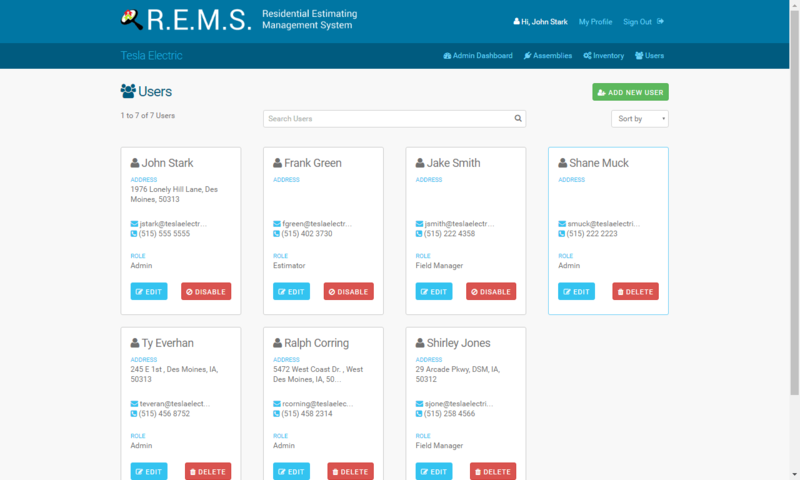 One more reason REMS completes all your needs for managing your work.